Have Laurie Delk speak at your event, clinic, office, etc. 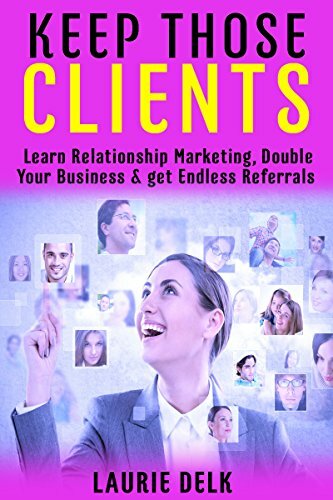 Learn how to get your clients to not only love you, but even refer their friends, family and business associates to you. Let marketing strategy consultant and branding expert Laurie Delk show you and your employees or agents, how you can keep your clients, get more clients, and get your clients to give you endless referrals with out even asking. Laurie can show you how to make money and enjoy greater success with your business. Laurie works with real estate agents, financial advisors, professional speakers, authors, insurance agents, salesmen in security companies, car dealerships, and many more service based entrepreneurs who want to take their marketing and their business performance to the next level. Some sales agents make millions of dollars, and others just barely scrape by. Why? What is the difference? You can learn the techniques. Learn how to brand yourself as one of the top agents in the country. There are also reasons why branding yourself is very important. You want people to remember your name, not just your business. Learn how all these reasons can help you in your business to take it to the next level, and help you to increase your income and your bottom line. Laurie also speaks to, helps and consults with many corporate based businesses. She can help identify a company’s biggest obstacles to growth, and offer innovation and enterprise solutions for upper level executives in charge of sales, product development, training, marketing, and IT solutions. She helps companies improve efficiency by optimizing the training effectiveness while reducing training expenses and improving sales and growth goals. She can do evaluations and create custom program projections for growth with flexible consulting models. In today’s economy, people are more uncertain, and more cautious of where, when and how they spend their money. If you are keeping your clients happy, with your business, as well as keeping in touch with them, and providing good and proper business ethics, then you are going to *keep your bottom line* as well as increase it! Contact her today to set up appointments, and scheduling, as well as pricing and availability for speaking engagements for your business. She speaks on many subjects, be sure to ask about her most popular one “Double Your Business in One Year“. Laurie was married to Bryan, who was a police officer for 16 years, with a very successful marriage for almost 20 years. Bryan and Laurie raised 4 children (her 5th in 2009 at 6 months pregnant), she ran a Christian daycare in her home when the kids were younger, taught at her kids Christian school for a few years and then later homeschooled her children. Bryan worked midnight shift and evening shift, worked SWAT, narcotics unit, bomb squad, bicycle unit, and more. Laurie can speak to other women about keeping a home quiet while he sleeps, as well as keeping the house in order, so when he is home, he can spend time with the family. She can teach on being a wife to keep him wanting to come home, in a world that encourages him to look and go elsewhere. She can teach on keeping the spirituality of the home positive, as they get so much negativity in the work place. Homeschooling, teaching and training the kids. Keeping your home clean and organized in a timely fashion. Keeping the home a happy and joyous place others want to come home to. Laurie unfortunately lost her husband, Bryan, of almost 20 years Feb 2,2013 to a tragic car accident. You can read about her and her story with her husband on a page she designed for his memory at www.BryanDelk.com She can speak to other women about keeping the faith, during such a tragedy. She can speak about helping the children to cope. She can speak about keeping a positive attitude and a smile on your face, even when many times all you want to do is stay under the covers and cry. 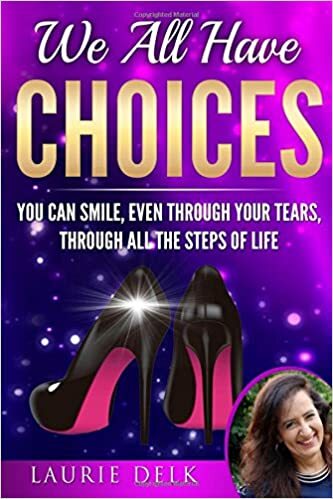 She can speak to women about grief recovery, getting through grief, the introduction to widowhood, and the life of a widow.